I’ve enjoyed playing with this entry into low H2H lately. Warm up flow before pool practice last November. 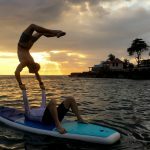 We’ll be practicing in the pool the next two Saturdays in preparation for teaching SUP AcroYoga at PLAY Acro Festival in Austin, TX the first weekend on March and demonstrating at Canoecopia in Madison, WI the second weekend of March. 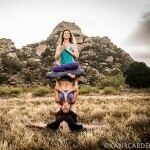 Hope to see you at one of those events or at Divine Play AcroYoga Festival in Jamaica in April! Super excited to hang with you at PLAY Acro Festival! Last Summer on Bishop lake here in southeast Michigan. New day, new time! Thursdays 6:15 – 7:00 p.m.
Join Certified AYFit Trainer Jim Gilligan at aUM Yoga.